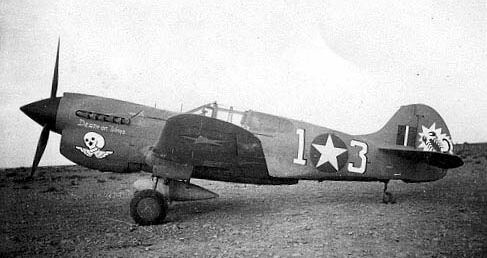 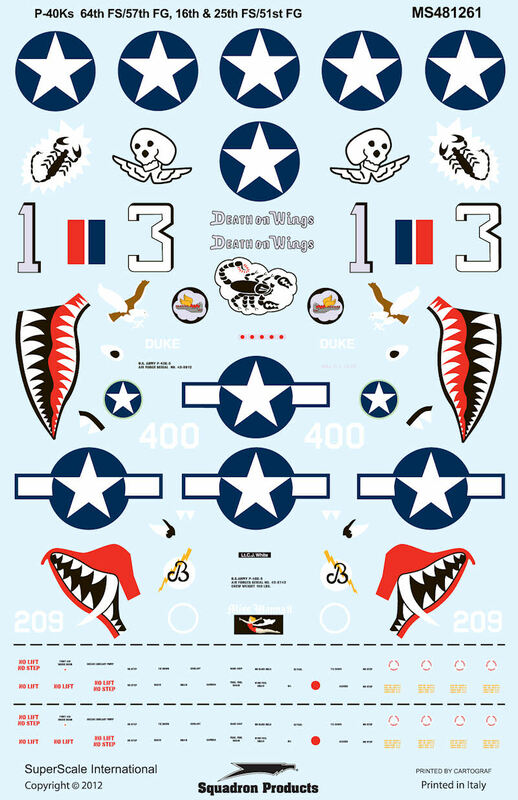 Decals for 3 Warhawks: P-40K-5 'Death on Wings' of the 64th FS, 57th FG, pilot C C Sgt. Frank Roldan in North Africa, 1942; P-40K-5 'Duke' of the 16th FS, 51st FG, pilot Maj. Robert Liles, October 1943 and P-40K-5 'Miss Wanna II' of the 25th FS, 51st FG, pilot 1st Lt Charles White, summer 1943. 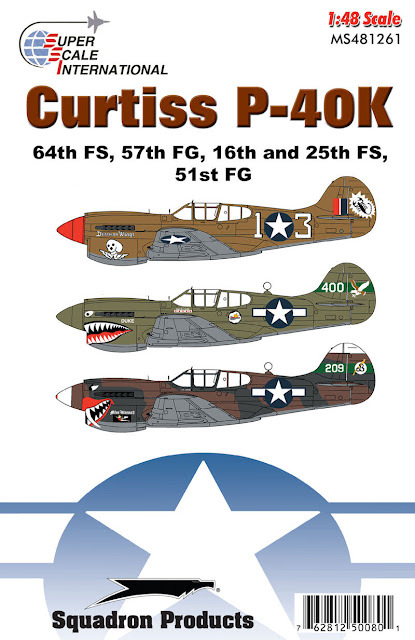 Includes national insignia, nose art, shark mouths (as applicable), and stencil data with detailed placement guide, colour profiles and general painting notes (including 3-view art for asymmetric camouflage). Recommended for Hasegawa and AMT/ERTL kits – (I’d go the Hasegawa myself). These colorful markings feature the ever popular shark mouths and where there isn’t a lovely little skull on wings to make the wide open mouthed Tomahawk look pretty neat! 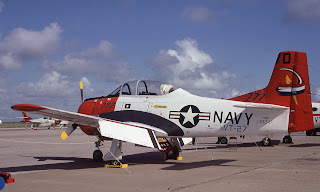 Decals for 2 North American Trojans: BuNo 138155 of VT-2 US Bicentennial scheme, Whiting Field, Florida, 1976 and BuNo 138247 of VT-2 at NAS Chase, 1980. 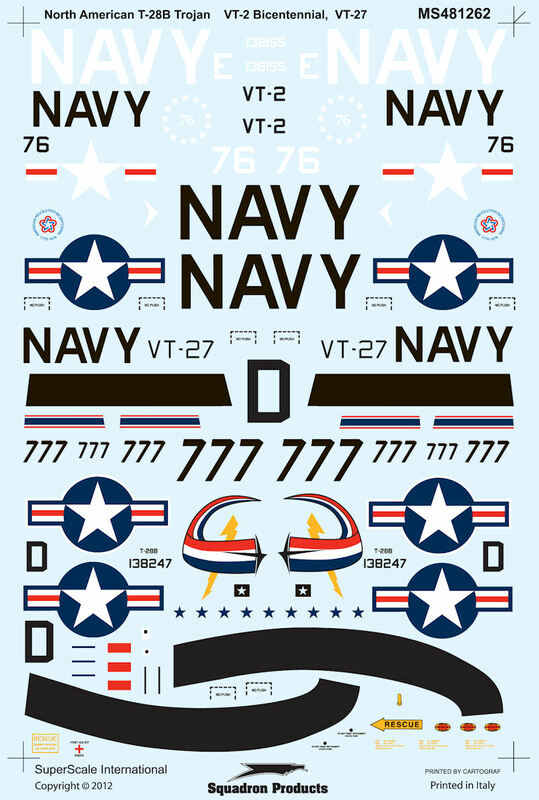 This sheet includes national insignia, color profiles, plan views and general painting notes. 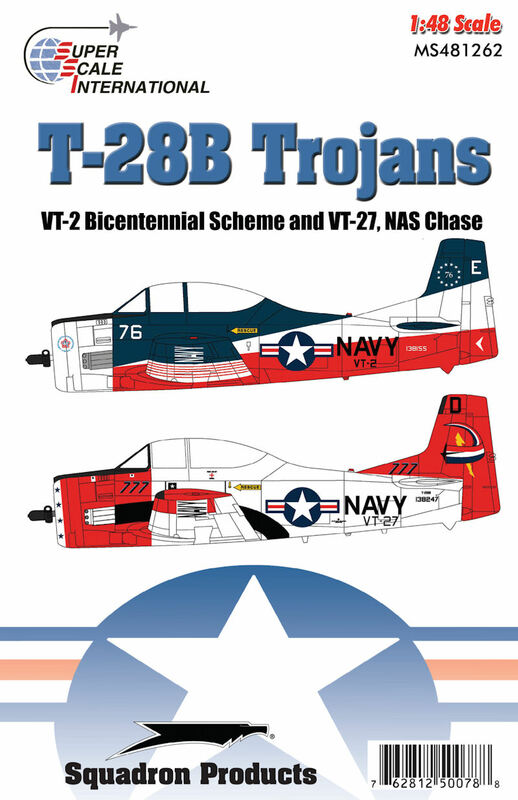 Recommended for Roden kits and printed by Cartograf – you couldn’t go wrong if you were in the market for new markings for your Trojan really! 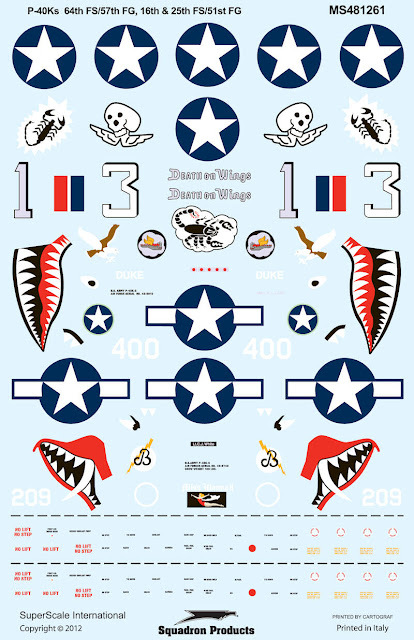 Both of these excellent sheets are available now and you can slap them on your kit after getting the – at a 10% discount right at this minute – from the Squadron Webstore!